Age: 350. Appearance of a 20 year old. Hair: His hair is mid-length, somewhat spiky and black. His Bangs fall over his face but parts twice over his eyes, leaving hair falling over his nose. It reaches to his shoulder blades. Face: His left eye is red and his right eye is blue. He has normal cheekbones, slender, but masculine jaw. Body: Normal build, little body fat, no tattoos except for the marking on his arm. Not very muscular, but not bony. Caucasian skin. Clothing: Black, leather, overcoat with the left sleeve missing. Sleeveless red undershirt. Black pants with the right leg stopping half way and the rest being made of belts. He wears black sneakers. Personality: Excors tends to be a lazy individual when he's not on the battlefield, but when he is he shows extreme brutality. He likes to play Shogi and listen to music while relaxing. Excors is the laziest of Kage's, rivaling Seisoku, but will stop at nothing to protect his village. He's rather quiet if he doesn't know you, but tends to be open around the few he does know. Excors doesn't partake in drinking alcohol because he never liked it. He is a very intellectual person, having a higher IQ of a normal human. Excors doesn't like Konoha for personal reasons that he does not wish to discuss. Birth Arc: When Excors was a newborn, the demon inside his arm took control of his body and went on a rampage. Though his clan members tried to fight back, he got them by surprise and they weren't really prepared for an inside attack. He unwillingly was the murderer of all his clan members. He was left alone as a newly born child; only to be found by the long-term Akumakage. Academy Arc: Excors was taken under the wing of the Akumakage, Seisoku. There he was taught the ways of the shinobi and basic moves and maneuvers. 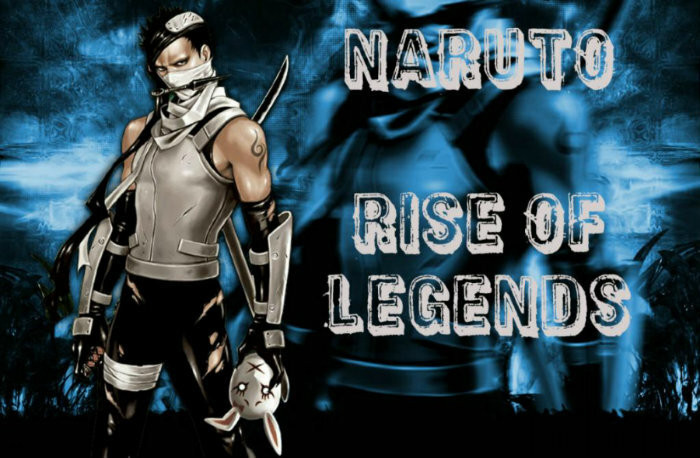 Along with his natural abilities, he had the potential to become a great shinobi. Seeing this, Seisoku, basically made it so Excors didn't have to go to the academy per se. He was taught directly by the Akumakage. Genin Arc: As Excors didn't go to the Shinobi Academy, he was able to cut all it's bull and quickly become a genin around the age of 10. During this time he was assigned a Sensei and teammates. Since he was the youngest of his group he was underestimated mostly all of the time, however, his training with the Akumakage had made him rather superior to the rest of his team. He was sent on many missions with his shinobi squad; each more difficult than the last. He was closely watched over by the Akumakage, who knew of his dark past, but wasn't ready to tell him of how his clan fell. After about a year of training and missions, their sensei saw that his group was ready for the chuunin exams and signed them up to take them. Chuunin Arc: Having proven himself in the chuunin exams, Excors left his squad to become a member of the ANBU Black Ops as per persuasion of the kage. The ANBU was a good place for Excors as he was mostly seen as a lone wolf. Also, he was one of the youngest members of the ANBU-being only 12 when he joined; he was considered a genius among them, but others considered him a threat to their positions. He quickly rose in the ranks of ANBU, being sent on more and more important missions by Seisoku; eventually working under him directly. He worked as a Chuunin level ANBU member for another 2 years, carrying out many missions and assassinations directed by the Akumakage himself. He gained rather much fame in Tenma no Kuni, as he was one of the youngest ANBU members to carry out as many missions as he did. On his fifteenth birthday, Seisoku approached Excors and sat him down. He told the young one that he needed to talk to him and was going to give him a choice. It was then that Seisoku told Excors abut his gruesome past-the slaying of his clan and the fact that Excors himself was the one that did it. After telling this to the shocked child, he gave him a choice: Run from his past, or continue living in the village as a Jounin. Though it took several days of thought, Excors finally returned to Seisoku and told him he'd become a jounin. Jounin Arc: Excors, now a Jounin, was eligible to become an ANBU Captain. In order to do so, however, he had to be given a small test. The test was to go into the Land of Sound and assassinate their leader, while making it look like an internal homicide (betrayal). Excors traveled to the Land of Sound by air, arriving there shortly after leaving his village. For three days he thought of a plan of how to assassinate the leader of the Land of Sound, and finally, he got one. He stalked and killed one of the men working for the leader of the Sound Village and took his appearance. With this new disguise, he faked a suicide bombing of the Land of Sound's leader, safely escaping the blast and returning home. With the success of his mission came the promotion to ANBU Captain. Kage Arc: Excors was an ANBU captain until his 20th birthday. It was on this day that Seisoku approached him and asked him to be an Akumakage along with him. Excited about the offer, Excors accepted the offer and now became an Akumakage with Seisoku. Not long after this (not long being the generously used term) another known as Despair was made to be an Akumakage as well. RP sample:Excors walks into his bedroom and looks at he bed. He then lays on his bed saying "Meh". He then goes to sleep. Description:This jutsu envelops the surrounding area in a dense mist, reducing visibility within the affected area. The density can be controlled by the user, allowing them to create a mist so thick that even they can't see through it. Though it can't fool the Byakugan, against the Sharingan it is a most effective technique. Due to the mist being created with the user's chakra, any Sharingan-user will see the mist colored by their opponent's chakra, which will effectively hide the user from the dōjutsu. Description: Suiton • Mizurappa is a Ninjutsu technique utilizing the Water Element. After forming the needed hand seals, the user will expel a strong jet of water at their opponent. Description:The Water Clone Technique is similar to the Shadow Clone Technique except it creates clones out of water. Like other solid clone techniques, the clones can be used to perform tasks the user is unable or unwilling to do for themselves. The range of the clone is limited however, as it can not travel very far from the original body. Additionally, water clones only have one-tenth of the original person's power, as stated by Haku. Like other clone techniques, if the water clones are injured enough they will revert back to normal water. Description: Named after a mythical creature, the ninja uses an object to blow a concussive wind that is imbued with their chakra. When an opponent is caught in the wind, a tornado will raise them into the air and hold them with the chakra. The wind will then begin to cut the target with the winds. Description: The user can make water appear out of thin air by taking every water particles around them and making a big floating bubble of water. The amount of water they collect depends on what type of environment they are in. If they are in a damp/humid environment they can collect up to 70-100L of water. (if they collect any more than 100 liters they wouldn't be able to contain it all.) If they are in a moderately humid areas they can collect up to 40-60 liters of water. And if they are in a dry area they can collect up to 10-30 liters of water. Also if their is alot of plant life nearby they can forcibly take out water from the plants (killing the plants in the process). Excors sends a large amount of chakra to cover his blade. The chakra takes on the properties of the blade (Hardness sharpness, etc.) and is then fired off. The blast of chakra takes the form of a Chinese eastern dragon that is 20ft long and 10ft wide; it is actually made up of tiny 1inch blades of chakra that will cut up anyone who gets caught inside to shreds. Description: Excors makes a symbol on the ground by using the Finger Engraving Seal technique; It is a circular seal that is about 3 feet in diameter, made with many symbols and it had a large kanjii for wind in the middle. Excors will then send large amounts of fuuton chakra into this seal and then leave it be. The seal is made so when a person steps on it, it will release this great amount of wind chakra in an upwards directional blast, causing the person who stepped on it to get blasted high into the air. This fuuinjutsu takes a while to set up (1 post) so Excors will usually do so before the battle, while his enemy is distracted, or while he is covered by a shield. Using this jutsu, the user creates a huge current of water in the form of a serpentine dragon and directs it towards a target. The water used to create the dragon must be present to perform the technique. Description: This technique allows to user to forcefully remove 5 liters of water from their opponents body. They do this by placing their hand anywhere on the persons body and sending their chakra into them, it has to be a direct touch though, a brush with the fingers or anything like that. When the person pulls away from the users grasp or when the user pulls their hand away, 5 liters of water will seep out of the persons pores. After the water is taken out of their body the person will begin feeling dehydrated. Continued use of this jutsu on one person will lead the opponent feeling weak until they finally faint from lack of water in their body. *Note: This technique cannot be countered with another Wind Return by the opponent. You can only counter an attack of equal or lower rank. Water Release: Water Shark Missile Technique is a jutsu that forces water to attack the opponent in the form of a shark. This technique is very similar to Water Release: Water Dragon Bullet Technique, which also creates a creature out of water to crash it onto the opponent. Description: The Rasengan does not require any hand seals to use, relying only on the chakra control of the user. Once it is complete, it becomes self-sustaining, which does not give the Rasengan a definite limit like the Chidori. The compacted nature and moving speed of the chakra allows the Rasengan to grind into whatever it comes in contact with to inflict major damage. This tends to launch the target backward after being hit or, if the target is lying on the ground or being launched to the ground, the destructive force is enough to form a crater. Description: Renkuudan is a Ninjutsu technique utilizing the Wind Element. The user inhales a large amount of air into their chest and then expels it in one large explosive burst. To strengthen the attack, they will imbue chakra into the air and then release it in large, spherical projectile shots. Description: Similar to Kaze no Taihō no Bakuhatsu, Excors will draw a symbol on the ground using the Finger engraving Seal. The seal is different from the other attack, being about 5 feet in diameter. It has several symbols in it the most prominent being the three symbols for "Transport" and "Wind". It is designed so when a person steps inside of the seal they will be transported high up into the sky in a manner similar to a reverse summoning. The same symbol that appeared on the ground will appear in the sky and the person will appear from it. They will be shot down to the ground by the fuuton chakra stored in the seal as if they were shot out of a cannon, causing them to descend rapidly head first towards the ground. This jutsu takes a considerable amount of time (2 posts) to create, thus Excors must create it before battle, while the enemy is distracted, or while he is protected by a shield. Description: Fuuton • Atsugai is a Ninjutsu technique utilizing the Wind Element. Releasing one’s chakra from their body, they will form a large, destructive gale of wind, capable of leveling anything within a large area. Description: A powerful genjutsu that generates a fluttering rain of sleep-inducing, illusory white feathers. Whomever sees them as they fall, piling up and covering the whole target area will experience Eden-like bliss and fall into a state of tranquil slumber. No matter how much one resists the hypnotic spell, the desire to sleep is instinctive, and there's no fighting it. However, an experienced shinobi will be able to dispel the genjutsu before it takes effect. Description: It's not really a jutsu per se, the user just allows the demon sealed in their arm to possess their body without losing control of their rational mind; this gives them the abilities and strength that the demon has to offer without compromising their fighting style. When in this state, all their natural abilities are double, besides sight which is decreased to that of half a normal humans. They gain the ability to use echolocation which allows them to see everything around them through sound waves and the ability to sense chakra. When in this form they do not have to use hand signs for jutsu so most (if not all) of them will basically be able to be casted instantly. This also exponentially increases their healing speed to the point where they are unaffected by most techniques. As much as this jutsu sounds like a god send, it can also be a curse to the user. If used for more than 8 posts in a row, the demon will control their body fully and they will lose their humanity to it; becoming nothing more than a rampaging beast. In order to prevent this from happening they have to go back to their human forms, or, if they are taken over by the demon, they will turn back to their human forms after one of their summons appears (appears after third post in this form) and releases the demon's control over their body. After turning back into a human the user won't be able to attack for 2 posts and will have to rely on their creature to protect them. Description: This jutsu takes advantage of the Kyuuketsuki's clan member's enhanced abilities. By sending a large amount of chakra to their vocal cords, they can emit a loud sonic-screech that repels any projectile weapons (such as kunai) or attacks back at the original attacker. The size of the weapon or the rank of attack repelled dictates the amount of chakra used. Kunai won't take as much chakra to repel as a B-rank jutsu, etc. Also, the highest rank of attacks this ability can repel are A-rank attacks. Description: The member of the Kyuuketsuki clan will stare into their victim's eyes while up close to them. They will then cast a genjutsu on them, causing them to become hypnotized and be under the user's control for a certain amount of posts. 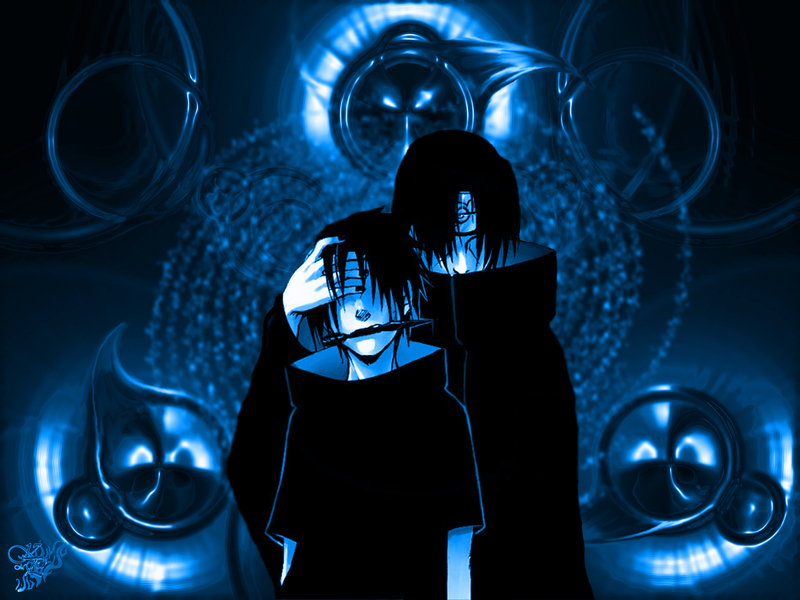 What this genjutsu does, is make the affected person think that their friends are their enemies. Merely trying to talk the person under the genjutsu out of what they are doing is not enough, one must know how to dispel genjutsu in order to release them from the user's control. So, they will fight for their opponent for 5 posts, or until the genjutsu is released by their allies. Description: A very useful jutsu in terms of survivability. This technique allows a member of the Kyuuketsuki clan to regenerate any lost limbs by focusing a large amount of chakra to the area where the limb is missing. It may take a while (like 3 posts) but it always ends up with their lost limb being restored. A downfall to this jutsu is that it takes up a large amount of chakra (about 25cp per limb). Description: To use this jutsu the user will flap their wings and create a small-but-powerful whirlwind underneath their opponent. The whirlwind will be infused with their futon chakra and thus will act as multiple blades, shredding the opponent. However, the main idea of this technique is not to kill the opponent, the whirlwind is merely used as a way to immobilize the opponent. The main goal of this technique is to draw blood from the opponent and to the user. For every post the opponent is trapped in here it will steal 15CP from them. Also, the longer they are in this technique, the more blood they will lose, meaning they can die if left in too long. Description: It's a genjutsu that makes the opponent think they are being attacked by a swarm of bloodthirsty vampire bats. It works by the user placing their opponent under the genjutsu, but it will seem to have no effect. However, when the opponent goes to attack the user and their attack "hits" it will make the user disperse into a swarm of bats and attack the opponent. Description: The user will inhale deeply and then emit a loud, high pitched screech. This screech will carry chakra-infused sound waves into the opponents ear. This chakra will then mess with the opponent's inner ears causing them to lose balance and become extremely nauseated, making it almost impossible for them to battle correctly. The effects of this jutsu will last for 4 posts and can only be fully negated if the opponent either moves far enough not to hear it or can block out sound completely. Description: Mainly used as a defensive technique; it involves the user waiting until their enemy gets close and then flapping their wings to create a violent cyclone of cutting winds around them. This cyclone will then lift the enemy or enemies up into the air and continuously shred their bodies with blades of wind. Like the lesser technique Ketsueki kyūshū [Blood Absorption], it is not meant to directly kill the opponent(s), but is used to immobilize them as the user steals their chakra. For every post they are trapped in this jutsu it absorbs 20CP per person inside per post. What makes this jutsu stronger than it's weaker version is the fact that it can draw people in from distances of 10m (roughly 32ft) away. Description: This technique can easily be seen as one of Excors' strongest. By mixing the ability of his clan to draw blood from their opponent and his ability to create spectral swords of chakra, he has made a very deadly technique. Excors will start off by creating four blades of chakra behind him and at first, these will do nothing, but float behind him. However, Excors can either wait until his opponent gets near or rush to them when he sees an opening. Excors will then grab two blades and slash across his opponent's chest in an X-like fashion. He will then let those blades go and quickly grab the next two-with the first two floating behind him-and stab them in the gut. Excors will then follow this up by quickly grabbing the first two blades again and stabbing his opponent in the gut yet again. Finally, he will snap his fingers, causing the chakra swords to shrink to a microscopic level. The point of this is to make the opponent believe the attack his over, while it actually is just still active. After making the blades shrink, Excors can do one of two things: He can either snap his fingers again, causing the blades to expand again and explode as the chakra is released while inside the opponent, causing major internal damage while drawing their blood/chakra towards him and restoring 15CP. Or he can wait a while, allowing the blades to collect more of his opponent's chakra. The more posts the the blades are inside the body, the more chakra they will collect (15cp per post after initial usage). The damage caused to the opponent's body can range from damaged internal organs and extreme blood loss as the blades cut them from the inside and the chakra forces itself out of their body. However, they can only remain inside his opponent for 5 posts before completely disappearing. Meaning, the most chakra he can steal from his opponent is 75CP. Also since this jutsu costs 35 CP to use, the most extra chakra he is getting is 40CP (the 35 restored and the extra 40). This jutsu has a 6 post cooldown before it can be used again. Description: By using his chakra, Excors is able to create a 5ft katana-like sword of solid chakra. This chakra sword is just as functional and deadly as a real katana, if not more. Excors can grab this blade and use it like a real sword if he wishes and also has the ability to let the sword just float and attack on it's own while he controls it with his thoughts. This gives him the ability to distract his opponent while he does something different. Also he can launch the blade as his opponent like a spear. Description: Excors creates 10, 5ft blades of chakra behind him. These blades will appear behind him in a fashion similar to wings behind an angel. They will do nothing at first, just float behind him. However, these blades are made to follow Excors' movements. For example: When Excors swings his real sword horizontally with his right hand, the other blades will follow suit. Meaning, not only will they have to deal with the initial strike, but the other 10 blades as well. Another example of how this jutsu works is, if Excors were to do an uppercut, the blades will follow soon after, slicing his enemy or if her were to do a kick, they would follow the movements of his leg. Also, if Excors wishes, he can flap his real wing(s) and send each and every blade toward his opponent like deadly spears. Description: This jutsu is a very unique defensive technique. Excors will create 30 blades of chakra and link them together to form a defensive wall in front of him; successfully protecting him from frontal attacks that are A-rank or below. The blades will then un-link and then all of them will be fired at his opponent(s) in a quick counterattack. Making this jutsu great for defense and attack. Description: The user of this technique forms two columns of wind which are launched forward spiral through the air horizontally, aiming to knock away and violently shred anything in their paths. Description: This jutsu allows the user to summon a cyclone of petals to attack their opponent. The user can remain in one spot for the use of the jutsu, because he or she can direct it anywhere they desire. Therefore, the user can control the direction and power of the technique to the max as a last resort. Also fire can be added to create a double damaging effect. Kage Bunshin is a Jounin level Ninjutsu technique. When Naruto stole the scroll of seals, he learned this technique as well. The normal Bunshin technique creates a copy of the ninja that lacks any substance. The Kage Bunshin distributes the ninja's chakra evenly among the clones and creates a real copy with form and substance. The clone itself can also utilize any jutsu the original ninja knows. When the clone finally disperses, any new knowledge it has gained is passed back to the original ninja and any additional clones. This makes Kage Bunshin an excellent training method if the ninja has the chakra capacity and stamina to maintain the Kage Bunshins for an extended period of time. This allows the ninja to essentially reduce the time it takes to train and learn with each clone added. Description: Excors gathers suiton chakra and forms it into a compacted orb. He then fires this orb at his opponent at high speeds with enough blunt-force to break ribs. Description: The user kneads chakra, and converts it into water, and then spits it out in the form of condensed balls. The high-speed water ball attack possesses just as much power to kill as an actual gunshot. While this is a water release technique, it can still be employed someplace where no water is available, which is a great advantage. It is also possible to increase the power of destruction of the spheres themselves by building up the chakra inside of them. The number of bullets is determined while kneading chakra. By taking advantage of gravity, the bullets can brutally increase in power. Description: The user generates a spinning column of water which takes the form of a snake with a gaping jaw. This snake can twist and follow its targets and swallow them. After it has swallowed them, it turns into a river that carries the enemy away. Description: Using this technique, Excors gathers some water from the air and surrounding environment into one thousand long needles. He then directs them to a specific target at high speed, leaping backwards before impact so he doesn't get caught in the crossfire. While the needles do surround a target from all sides, they don't appear above the target, creating an escape route. Excors is able to perform this jutsu with one-handed seals, allowing him to pin an opponent's arm and attack while they cannot use any techniques themselves.